You can watch HAJJ 2012 Live online here. This is a live streaming straight from Makkah, Kingdom of Saudi Arabia and nearby places where the Hajj is performed. If you face any issues with the live video streaming, please refresh the page or visit the page after a minute. 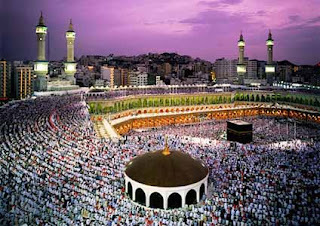 Watch Hajj Live Online 2012 .. It is a common issue with iOS device (iPhone/iPad/iPod) users, that your iPhone calender doesn't get synced with your Google Calendar. All your entries in the google calendar would be reflected on your iPhone but the vice versa doesn't work. You can follow the below mentioned steps to resolve this issue. Its all about a little configurations on your iPhone. This post explains exactly how to sync your iphone calendar with Google Calendar. When is Eid al-Adha 2012 in UAE? Eid al-Adha in 2012 is on Friday, the 26th of October in Dubai, Abu Dhabi, Sharjah, Ajmanm Umm al Quwain, Fujairah and Ras Al Khaimah. This is the same day of Eid in other countries in the Middle East. In the Muslim calander, a holiday begins on the sunset of the previous day. Therefore the Muslims will celebrate Eid al-Adha on the sunset of Thursday, the 25th of October. Although Eid al-Adha is always on the same day of the Islamic calendar, the date on the Gregorian calendar varies from year to year, since the Gregorian calendar is a solar calendar and the Islamic calendar is a lunar calendar. This difference means Eid al-Adha moves in the Gregorian calendar approximately 11 days every year. The date of Eid al-Adha may also vary from country to country depending on whether the moon has been sighted or not. The dates provided here are based on the dates adopted by the Fiqh Council of North America for the celebration of Eid al-Adha. Note that these dates are based on astronomical calculations to affirm each date, and not on the actual sighting of the moon with the naked eyes. This approach is accepted by many, but is still being hotly debated. How to close a Web page in iPhone Safari? Here is a another tip for iOS device users; be it for your iPhone, iPad or iPod. It details on how to clise a web page on your apple safari browser on iphone / ipad / ipod. This post explains you exactly how to do that. This is a simple thing but for those who are not aware of it, it helps. Does iphone internet have parental controls? Here is a great tip for iOS device users; be it for your iPhone, iPad or iPod. Many a times we want to have a parental control option on your iphone especially with kids playing games on your iphone, ipad or ipod. This option saves you to avaoid unwanted in app purchases and other actions on your phone. This post explains you exactly how to do that. How to delete search history on an iPhone or iPad? Many a times we want to clear our browsing search history from your iOS based devices, may be for privacy reasons or any reasons. This post explains you exactly how to do that. How to Delete a calendar on iPhone? Many a times we want to remove a calendar from your iOS based devices and this post explains you how to do it. Included below are some of the details of Islamic/Quran learning centers in Dubai and Sharjah and Ajman. Different opening in sectors like Accountancy, Finance, IT, Banking, Hospitality, Logistics, automotive HR, and many more.